This Cherry Tomato Tapenade is the perfect, light, summertime appetizer. It has the fantastic salty, garlicy taste of kalamata olives and capers that you can’t get enough of. Summertime appetizers are one of my very favorite things to enjoy in this hot weather. Thank goodness my garden never disapoints! We always have an abundance of cherry tomatoes that make their debut, and I’m happy to use them in any way I can. 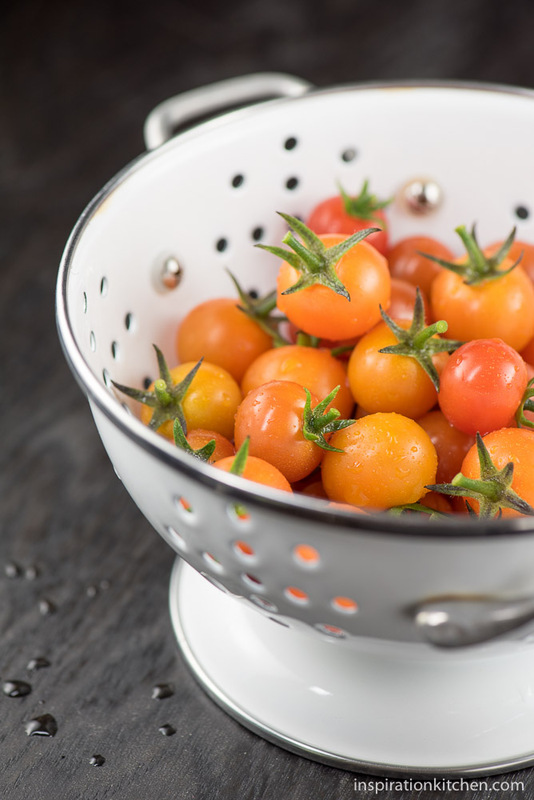 If you’ve not had Sun Gold tomatoes before, they are plump, firm and more orange in color than a typical cherry tomato. But, what you will love about them, is that they are so sweet and flavorful! 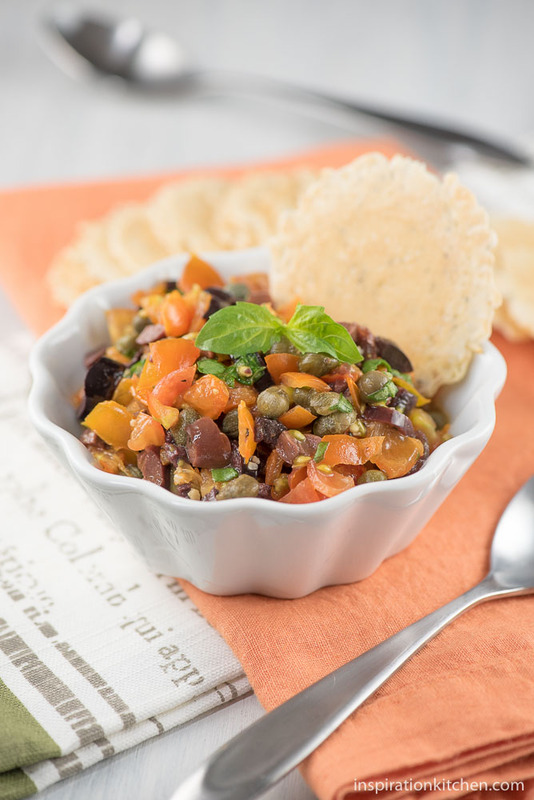 Their sweetness, combined with the salty brine of kalamata olives and capers gives this Tapenade great flavor. 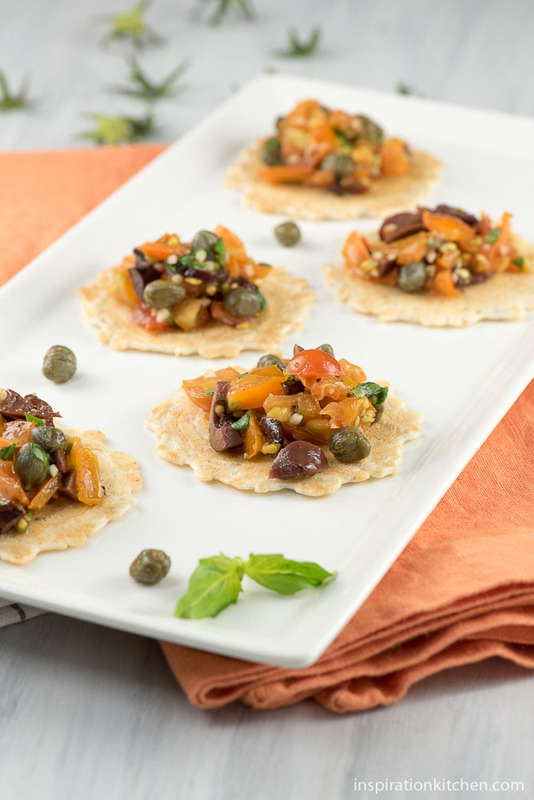 Served with ultra-thin crackers like you see in the picture, really lets the Cherry Tomato Tapenade shine through. Truth told, this was so good, about 4 crackers in, I decided to forgo the crackers all together, and I grabbed a spoon and just dug in. It is that good! So, if you’re looking for a garlicy, salty, fantastic summertime appetizer – make this! You will love it! This Cherry Tomato Tapenade is the perfect, light, summertime appetizer. 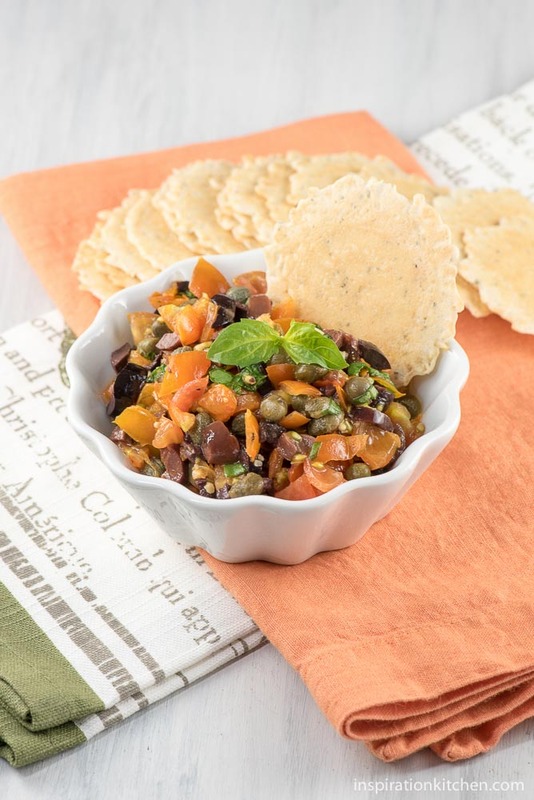 It has a fantastic salty, garlicy taste of kalamata olives and capers that you can't get enough of. Add tomatoes, olives, capers, garlic and basil to a medium-side bowl. Add olive oil, salt and pepper and gently stir until just mixed. Serve.